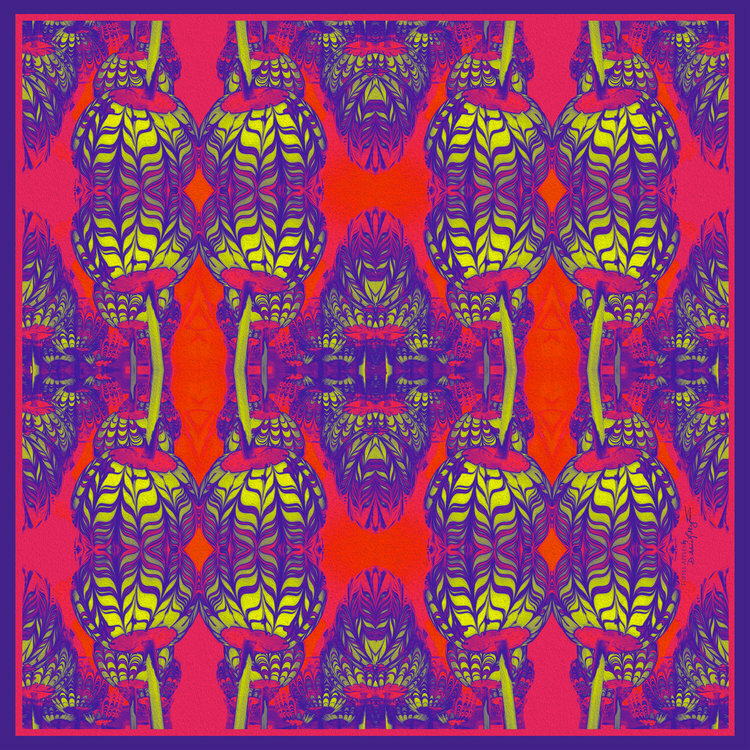 Psychedelic, fantastical and pure luxury, Ireland’s silk print designers are a colourful bunch with an arresting display of creativity. They are artists, storytellers and travellers, all with one thing in common. They want their customers to feel like they’re wearing art. In fairness, these pieces would work as well on a wall as on a person. Stylist and illustrator Sara O’Neill from Portrush, Co Antrim is the best ad for her garments, giant silk scarves that she wears a dresses. Her Éadach creations are influenced by Irish legends and our landscape in a most subtle way. Nothing twee or Oirish about them. In motion, they are undiluted elegance. 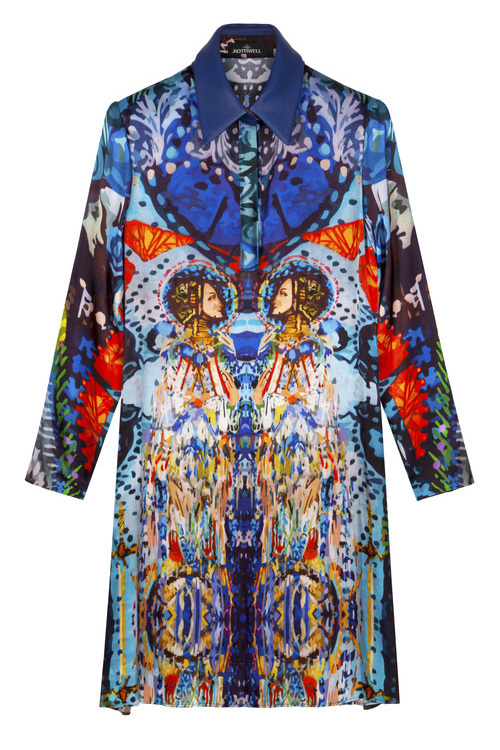 Dublin designer Jennifer Rothwell also celebrates our heritage with those kaleidoscopic prints based on stained glass artist Harry Clarke. The colour saturation does justice to his iconic work and shows respect and high standards on the side of Jennifer Rothwell who can be found upstairs in Dublin’s Powerscourt Townhouse. L.E.A.F designer Lorna Finnegan wants her customer to get a sense of her creations, providing a story and poem in the box with her scarves to make the unwrapping all the more special. In Kerry, design duo Martin O’Grady and Kate O’Hare have joined forces to set up Kate Martins. He’s a landscape photographer. She’s a fashion designer. 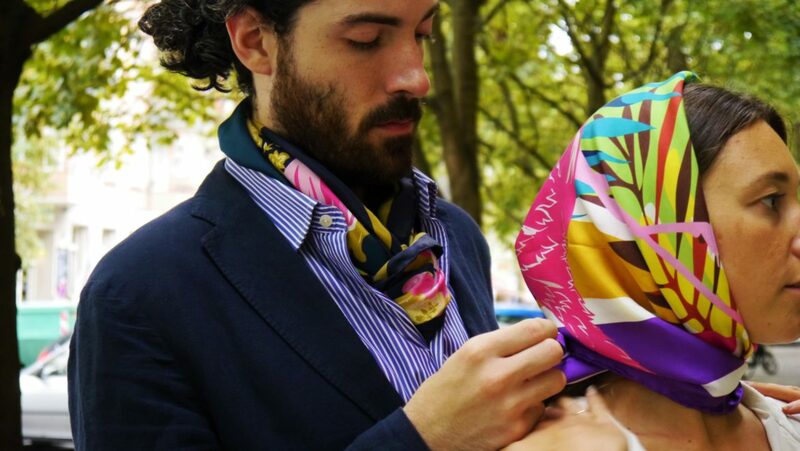 Their latest collection of silk scarves is a dazzling celebration of the Portuguese capital of Lisbon. 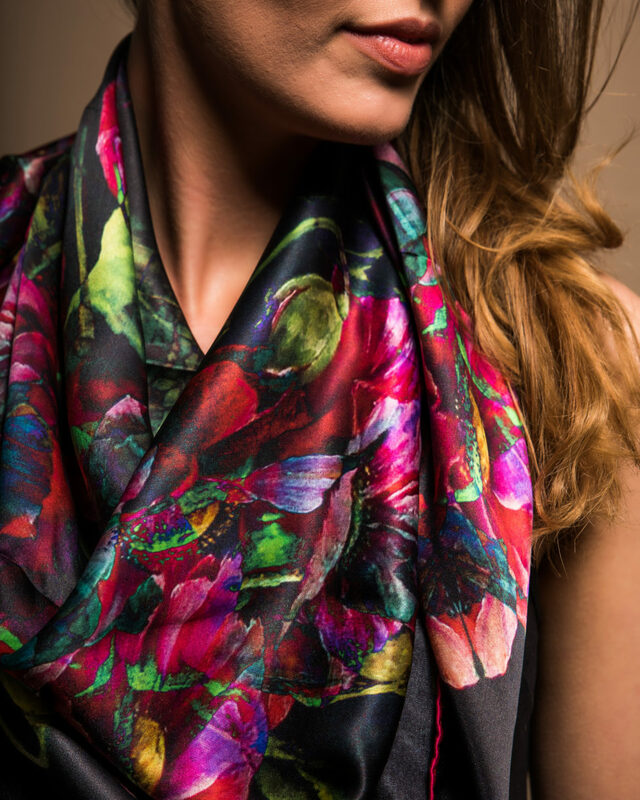 Another silk scarf aficionado is Dublin based Susannagh Grogan who sells in Brown Thomas and Arnotts. It’s hard not to smile studying her colourful prints, nor to marvel at the imagination behind their creation. 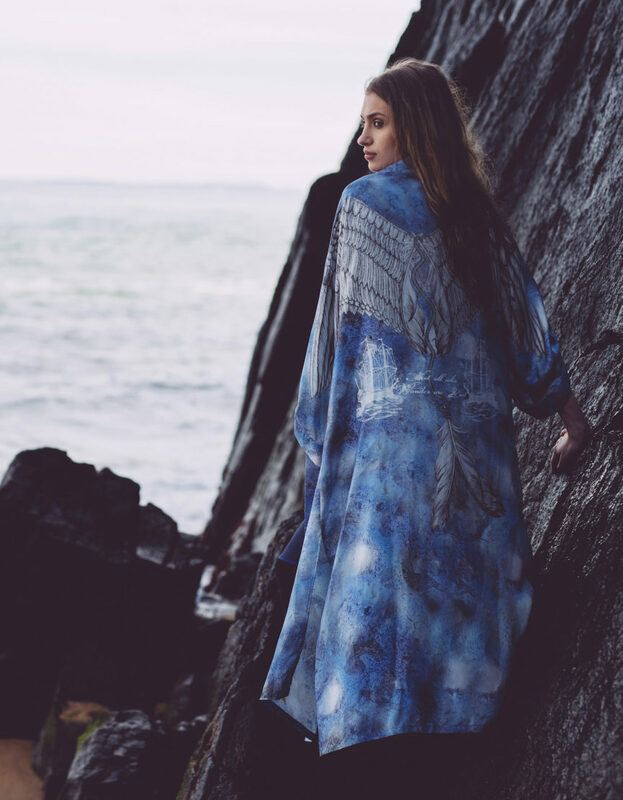 New to the scene is Galway designer Niamh Daniels whose work is inspired by the west of Ireland landscape. 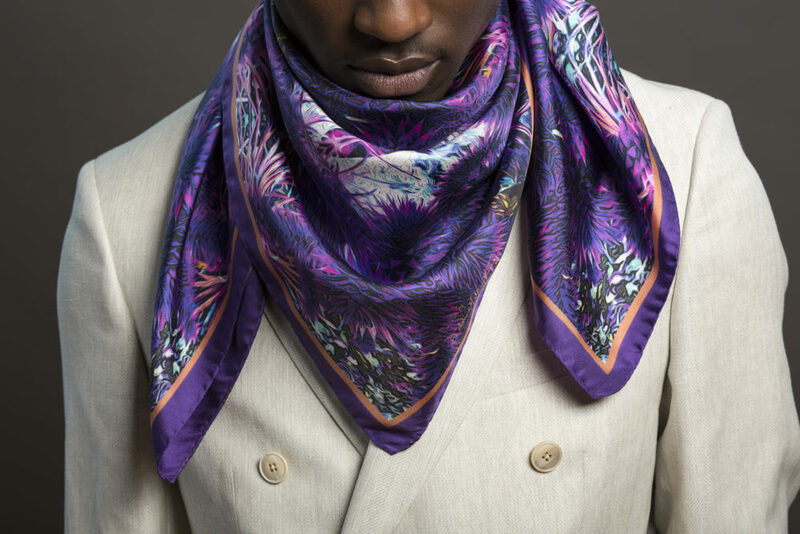 Niamh’s fine art approach and lush silk make for an accessory that can be worn in summer and winter. 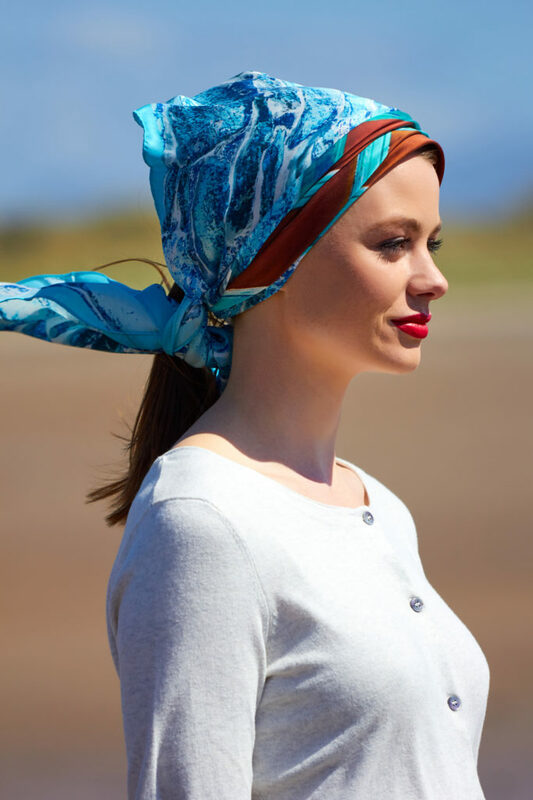 Debbie Millington is also worth seeking out having spent 17 years in costume design on movies while travelling the world, following her degree in fashion and textile design. All that energy and experience is clear from her startling designs. There’s no doubt Ireland’s got talent when it comes to print design.